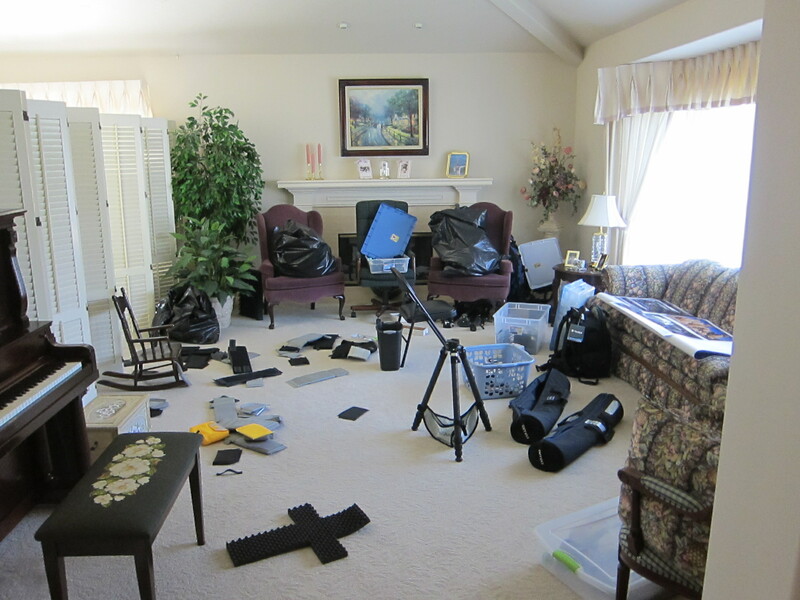 The house is a mess as we prepare our equipment for the next trip. Needless to say, mom’s living room is full of dad’s stuff. Well we’re now less than two weeks from our departure date. We’ve got a day to drive to Orem, Utah where we’ll see my aunt before heading to Gallatin, Montana. The plan is to work the northern half of Yellowstone National Park from Gallatin and then drive south to Moran, Wyoming and base camp there. We’ll have about 16 days of shooting in Yellowstone and although I am a little nervous about bears, I’m very excited to photograph elk, moose, and other animals Yellowstone has to offer. I’ve seen a wolf in Yellowstone once and it was one of the most beautiful animals I’ve seen in person. Now that the trip is getting closer every day seems to pass slowly. I’m anxious to get on the road and put some of my newer skills to use with the cameras but we still have so much to do. We received our snow chains from TireChains.com today for the truck and they weighed a whopping 80 lbs! We are still waiting on some backup batteries for the Polarion dive lights and some mosquito suits which are coming from Canada. Yesterday I called about 8 different county sheriff offices in several states to confirm that we could carry firearms. I was surprised at how helpful and willing all of the deputies were to answer my questions – not that I expected them to be cold to such questions, it was just a nice surprise. We will also carry a 50-state guide to gun and knife laws in our truck in order to make sure we are following the rules as we journey across 7 states. Doug at Tex Shoemaker in San Dimas, CA is making us some custom holsters for our Smith and Wesson 500’s. The SW 500 is the largest handgun made today with a .50 caliber round. This would be sufficient stopping power in the event a grizzly bear charges us. We will be able to legal carry our revolvers unconcealed in most states but of course California is not one of those states. 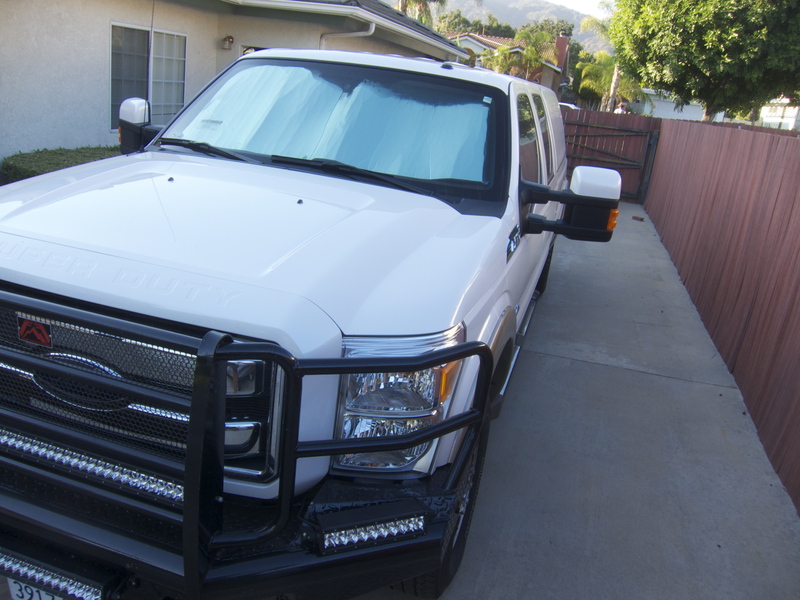 Today we also took the truck over to Lou at Custom Truck Shop in San Dimas, CA to get a special locking system put on the rollout drawers. They have done lots of work for us on past vehicles and always do a great job. Lou started the off road shop over two decades ago and today enjoys a well-deserved flow of business from all over southern California. Their website is http://lge-ctsmotorsports.com/. 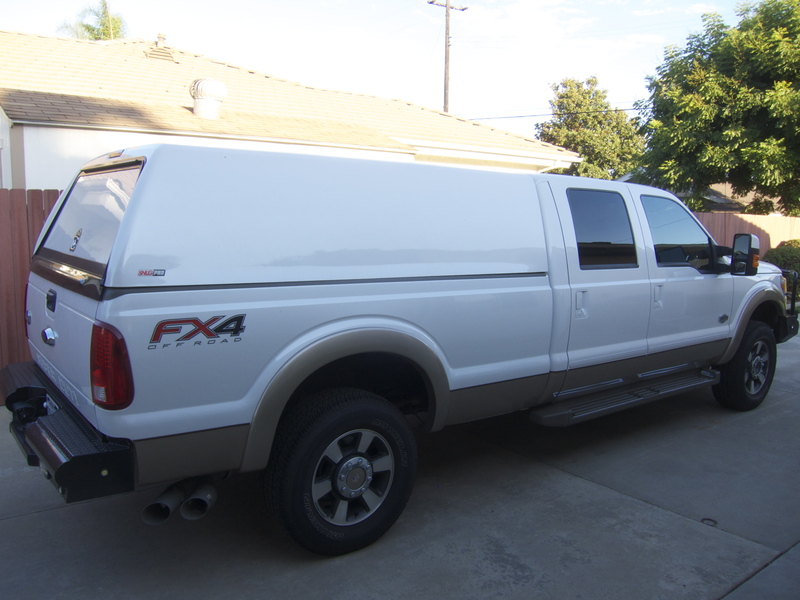 2013 F-350 Fx4 King Ranch with SnugPro shell and TruckVault bedstorage.